Drip is ending its paint-splattered dance shows on International Drive at the end of January. You’ve only got a few more weeks to experience Orlando’s original paint-splattered dance show, because after five years of performances, Drip is closing its International Drive theater for good on Jan. 27, 2018. The Orlando-based performance art company Drip is closing its International Drive location at the end of January, 2018, after five years of bringing dance shows and art events to the I-Drive area. Drip’s remaining I-Drive shows will be performed every Friday and Saturday evening in January, with the final show scheduled for Saturday, Jan. 27. 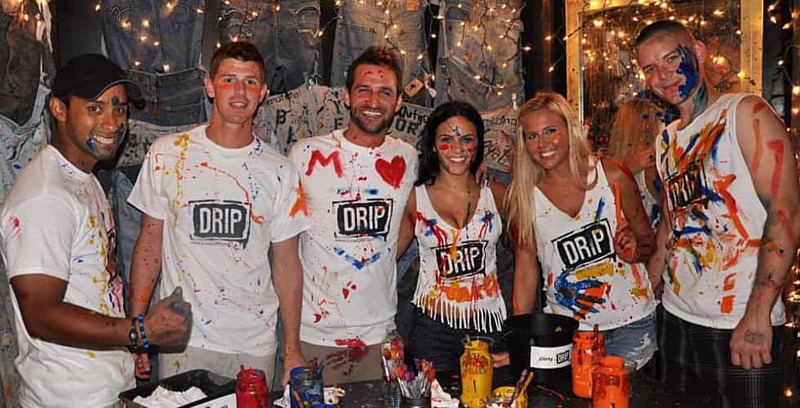 Since Drip opened their International Drive location, they have produced over 700 shows, artistic events, concerts, festivals, fashion shows, private parties and corporate events. Experiences in the Drip venue have included a super-hero show during the Megacon Convention, The Blind Date experience for couples during Valentine’s Day, the Underground Vampire Bar experience in October, Gay Days events, Local Art Night, BASE Body Painting Art Events, and many more. Drip has also been commissioned to develop creative experiences for companies such as Timex, Siemens, L’Oreal, Wrestlemania, and Kawasaki. Drip is currently located at 8747 International Dr. Ste. 102, on the backside of the building with Senor Frogs and Denny’s. The last chances to see Drip at this location are on January 5, 6, 12, 13, 19, 20, 26, and 27, 2018. Discounted tickets will be available in January for the remaining shows. Guests can get $25 general admission tickets (regularly $44) with promo code “FINALSPLASH” on www.ILoveDRIP.com. DRIP shows are usually restricted to ages 18+, but they will open the Friday, Jan. 19 show up to all ages as long as people under 18 are accompanied by a guardian. The All Ages show will remain edgy and will be the same show experience as the others.